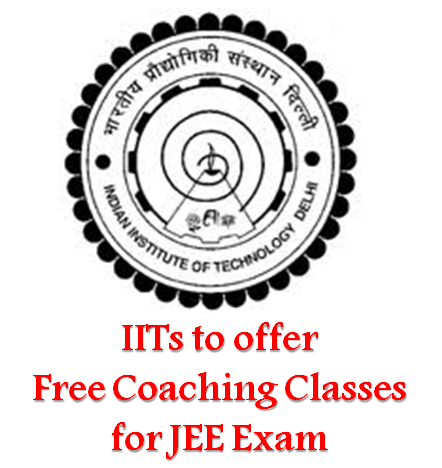 In a move to prepare students for the much coveted Joint entrance exam or JEE exam, IITs are all set to provide free coaching classes. This will be of great help to all the aspirants who strive hard for joining these prestigious institutions. Cracking the JEE entrance exam for the reputed Indian Institute of Technology institutions is a dream for many students. Considered to be the toughest examinations at senior secondary level, Joint Entrance Exam witnesses huge response from aspirants all over the country. From among the large size of examinee number, only a sizeable amount gets into IITs. This is where the institution wants to put in effort. The institutes aim at improving the conceptual understanding of students and help them in cracking the exam. IITs will impart coaching through DTH TV channels and internet. IIT Delhi will take over the charge of this project. Coaching, for the same motive, will be provided for Physics, Chemistry, Biology and Mathematics subjects. Though exact date has not been decided yet, the coaching will begin in the month of January next year, so that students get near about 04 months to prepare for the exam. Highlighting the project management strategy Director of IIT Delhi has said that professors will record 200 hours of lecture for each of the subjects in which coaching will be provided. IIT students will work as teaching assistants for regular problem solving exercises. Along with all the old IITs namely Delhi, Guwahati, Kharagpur, Chennai, Kanpur and Mumbai, few teachers of Kendriya Vidyalayas have also been included in this project for which NCERT will prescribe the problems. The coaching classes will be open to students of Class XI and Class XII. Ministry of HRD is also actively involved in the project for making it more friendly and interactive for students to clear their fundamental concept and raise issues if any.